The Nigerian Union of Petroleum and Natural Gas Workers (NUPENG) said it was resuming the strike it suspended early in July this yesterday for breach of agreement. NUPENG members had been spoiling for war over alleged improper retrenchment of American oil giant, Chevron Nigeria Limited, claiming that the company had refused to bend despite intervention by the Federal Ministry of Labour. The statement further directed all members of the union within the zone to commence an industrial action and to ensure that it was strictly complied with. It stated that NUPENG had decided to embark on the strike in solidarity with their sacked members at Chevron, alleging that the company had failed to honour a communique reached with the body on July 10, 2014, which reportedly followed the effort of the Federal Ministry of Labour and Productivity to resolve all outstanding industrial disputes. 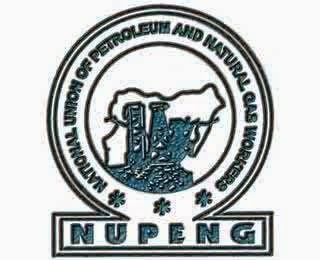 The union noted that the strike formally commenced on August 28, 2014, at 2:00pm and urged all members of NUPENG branch executives within the Warri Zonal Council to ensure that the directive was followed to the letter in solidarity with their sacked members. The Warri Zonal Council of NUPENG comprises mainly states in the South-South geopolitical zone, though the effect of such strike could send fuel scarcity ripples through neighbouring states across the Niger and even parts of the South-West states.